Want to make a lasting impression with flowers? Flowering plants are a great option, offering the gorgeous blooms and fragrance of a bouquet, but lasting up to several months! Our flowering plant collection is filled with a wide assortment of indoor flowering plants. From rose bushes and flowering plants like azaleas to exotic orchid plants, we have the perfect plant to suit every taste. 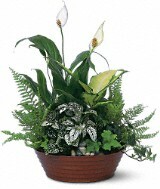 Flowering plants are a wonderful option for every occasion. If your loved one is celebrating a milestone, they'll probably receive lots of cut arrangements. But your flowering plant gift will outlast them all, bringing them joy for months. 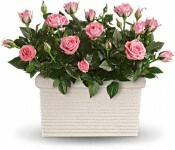 Your thoughtful gesture of sending a flowering plant is sure to be remembered in a special way. Your thoughtful gift will brighten up any space. Flowering plants look great in the kitchen greenhouse window, on a work desk, or even in a bedroom. 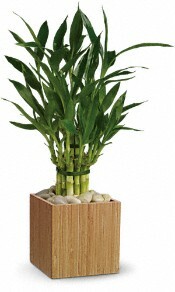 One thing is for sure, flowering house plants lift spirits and enhance any space. Our florists are experts on plants and deliver each new plant with care instructions. So even if they don’t have a green thumb, they can experience the beauty of flowers every day.